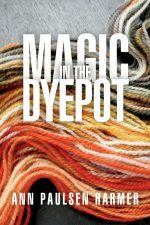 Even though my dyepots are still going strong, it’s time to start spinning the mass of fibre accumulating around the house. 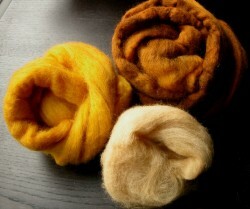 The first yarn of the season, which I’m spinning now, will be a blend of these three colours. 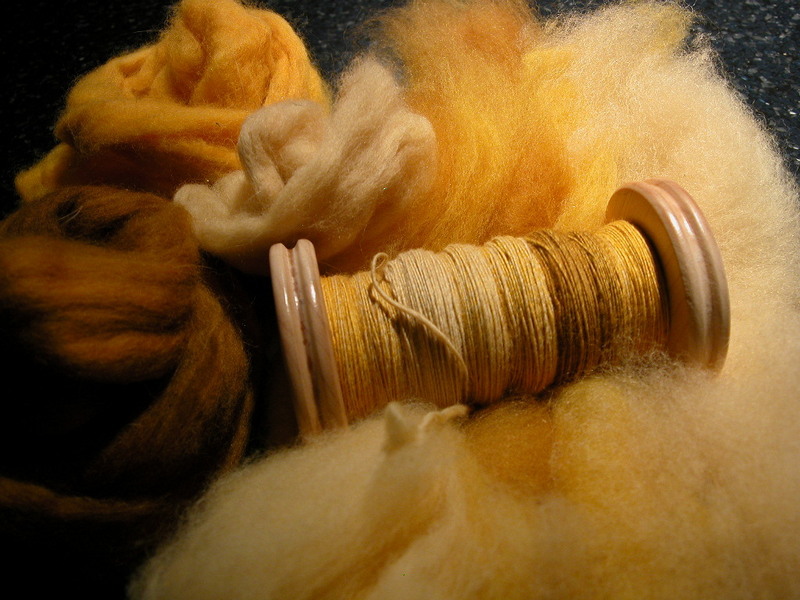 I’m preparing the fibre on my handcarders as I go, making some rolags of one colour and some with two colours blended. This merino cards up so beautifully—it’s a dream to spin. Previous PostIt does grow back!Next PostCortinarius sanguineus!